It’s nearly the end of 2017, and boy has it gone by fast. So many awesome things have happened this year, and yeah time flies when you’re having fun and driving on racetracks. 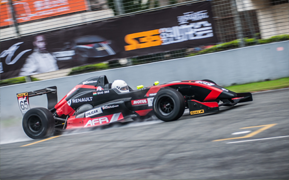 This was my first year racing in Asian Formula Renault, and I’ve been incredibly fortunate to race with championship winning team BlackArts Racing. Back in 2015, it was my intention to compete in the MRF1600 season in 2016, and Asian Formula Renault in 2017. Having ticked off both these goals have felt really fulfilling, and so has improving myself as a racing driver. Obviously reaching here hasn’t been easy or smooth sailing, and just the way I’ve enjoyed the success along the way, there have been important lessons I’m grateful to have experienced. Starting with what went well…. I competed in a full season of Formula Renault. Doing all the races, finishing all but one in points has been awesome, along with a podium finish in the second round. My pace since the start of the season has been pretty good. Qualifying quite a few times in the top 3, top 4 in a 20 car grid has been really encouraging. My fitness levels this year has improved massively. After 2 days of pre-season testing I realized there were areas I needed to improve in, especially my neck strength. Shortly afterwards I began to work with a motorsport trainer Stewart Wild who’s trained Jenson Button, and other F1 drivers. Working harder than ever on my fitness has made driving the car so much easier. I’ve gotten back into kart racing, not just any karts but KZ2s. Which are racing karts with a 6-speed gearbox. They are absolute rockets and fantastic for physical conditioning. 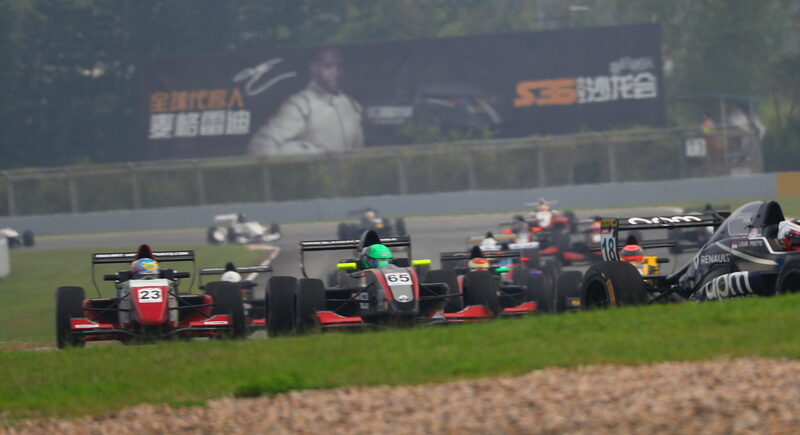 Finished 6th overall in the Asian Formula Renault season. After seeing the pace I had in the first round where I was onto my first podium finish (but spun under braking few laps to go). I was aiming to target a top 4 finish this year, but didn’t manage to. My race pace and tyre management is something I need to improve on. Limited track time. With 4 days of pre-season testing, and a few more days of testing during the season. I haven’t yet developed my car control skills to a level I’m happy with, as well as my knowledge of driving with aerodynamic downforce. The marketing side of my career. Racing is damn expensive, racing Formula Cars even more so. To progress in my career it’s a must that I commit to delivering more value to people, and this is an area I’m continuously striving to improve on. I’ve already started working on being better prepared and deciding what season I’ll compete in next year. In a couple of days time it’s the Macau GP! In my opinion, the best motorsports event in this part of the world, and in exactly a month’s time it’ll be the Macau International Kart GP. Guess what? I’m taking part there in the KZ1 shifter category. I’m really looking forward to this mega kart race and am working to be at my best, physically and mentally. Looking to end the year on a good note. P.S: The Macau International Kart GP is taking place on the 9th- 10th December. Save the dates and message me if you’re able to come. Would be great to see you there.